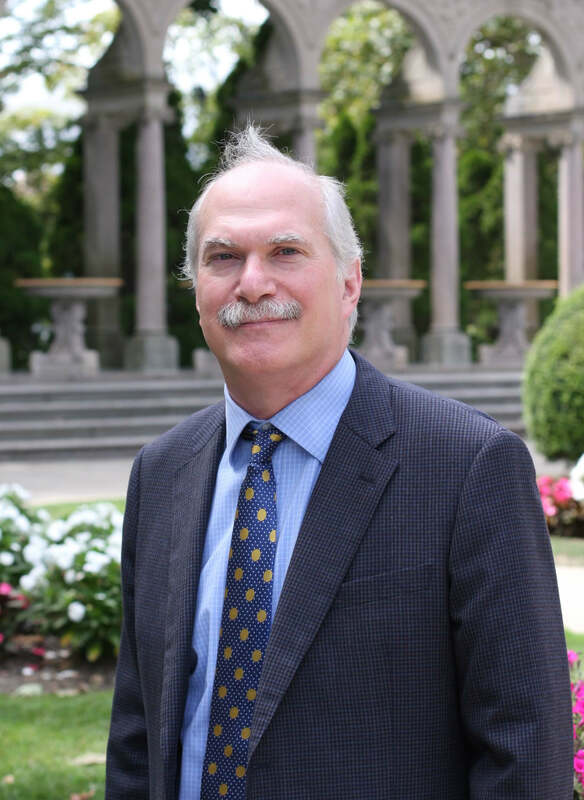 Dr. Steven Bachrach became the new Dean of the School of Science at Monmouth University on August 1, 2016. He previously served as the Assistant Vice-President for Special Projects at Trinity University in San Antonio, Texas, where, during his seventeen year career there, he was also the Dr. D. R. Semmes Distinguished Professor of Chemistry and a past Department of Chemistry Chair. He began his academic teaching career at Northern Illinois University where he earned the rank of full professor. At both Universities he maintained active research labs and published with students and post-doctoral researchers in the field of Organic Chemistry. Dr. Bachrach also served as an American Council on Education (ACE) Fellow at the University of Redlands during the 2014 – 2015 academic year. Dr. Bachrach was a Director’s Post-Doctoral fellow at Los Alamos National Laboratory in Los Alamos, NM during 1985-1987. Dr. Bachrach has authored more than 150 publications, including his book Computational Organic Chemistry, as well as the monograph Computational Organic Chemistry, and served as Editor-in-Chief of the Internet Journal of Chemistry for seven years. Dr. Bachrach is the recipient of more than $2 million dollars in grant funding, most notably from the National Science Foundation, American Chemical Society and the Welch Foundation. Dean Bachrach’s research interests are in theoretical organic chemistry, electron density analysis and theoretical determination of reaction mechanisms. Additionally, Dr. Bachrach has been a pioneer in the use of the internet to foster communications between chemists and continues his research interest in the development of internet resources for chemists. Written: “Computational Organic Chemistry,” Second Edition, Steven M. Bachrach, J. Wiley and Sons: Hoboken, NJ, 2014. See also the auxiliary web site: www.comporgchem.com and the blog: www.comporgchem.com/blog. Edited: “Proceedings of the First Electronic Computational Chemistry Conference – CDROM,” Steven M. Bachrach, S. M., Donald B. Boyd, Stephen K. Gray, William Hase, Henry S. Rzepa, Eds., ARInternet: Landover, MD, 1996. “The Internet: A Guide for Chemists”, Steven M. Bachrach, Editor, ACS Publications, Washington, DC, 1996. “Designing a “Flatter” ExBox4+ Analogue,” Steven M. Bachrach and Zachary O. M. Nickle,* Journal of Physical Chemistry A, 2015, 119, 10613-10619. “Cyclooctatetraenophanes: A Computational Study,” Steven M. Bachrach and Meghan W. Tang,* Journal of Organic Chemistry, 2015, 80, 6679–6686. “The all-Carbon, Neutral Analogue of ExBox4+: A DFT Study of Polycyclic Aromatic Hydrocarbon Binding,” Steven M. Bachrach, Ann E. Andrews,* Journal of Physical Chemistry A, 2014, 118, 6104–6111. “Challenges in Computational Organic Chemistry,” Steven M. Bachrach, Wiley Interdisciplinary Reviews (WIRES) – Computational Molecular Science, 2014,4, 482-487, (Invited Article). “Microsolvation of 1,4-Butanediol: The Competition between Intra- and Intermolecular Hydrogen Bonding,” Steven M. Bachrach, Journal of Physical Chemistry A, 2014, 118, 1123–1131. “Conformational Equilibria in Butane-1,4-Diol: A Benchmark of a Prototypical System With Strong Intramolecular H-Bonds,” Sebastian Kozuch, Steven M. Bachrach, Jan Martin, Journal of Physical Chemistry A, 2014, 118, 293–303. “Amine Superbases Stabilized by Extended Hydrogen Bond Networks,” Steven M. Bachrach, Journal of Organic Chemistry, 2013, 78, 10909–10916. “DFT Study of the ExBox•Aromatic Hydrocarbon Host-Guest Complex,” Steven M. Bachrach, Journal of Physical Chemistry A, 2013, 117, 8484–8491. “InChI: A User’s Perspective,” Steven M. Bachrach, Journal of Cheminformatics, 2012, 4, 34, DOI: 10.1186/1758-2946-4-34. “Mechanism of Thiolate-Disulfide Exchange: Addition-Elimination or Effectively SN2? Effect of a Shallow Intermediate in Gas-Phase Direct Dynamics Simulations,” Manikandan Paranjothy, Matthew Siebert, William Hase and Steven M. Bachrach, Journal of Physical Chemistry A,2012, 116, 11492-11499. “Extended Hydrogen-Bond-Network-Enabled Superbases,” Steven M. Bachrach, Organic Letters, 2012, 14, 5598–5601. “Computational Organic Chemistry,” Steven M. Bachrach, Annual Reports of the Progress in Chemistry, Section B: Organic Chemistry, 2012, 108, 334-352. “Computational Organic Chemistry,” Steven M. Bachrach, Annual Reports of the Progress in Chemistry, Section B: Organic Chemistry, 2011, 107, 349-368. “Microsolvation of Uracil and its Conjugate Bases: A DFT Study of the Role of Solvation on Acidity,” Steven M. Bachrach, Michael Dzierlenga,* Journal of Physical Chemistry A, 2011, 115, 5674–5683. “DFT Study of [2.2]-, [3.3]-, and [4.4]paracyclophanes: Strain Energy, Conformations, and Rotational Barriers,” Steven M. Bachrach, Journal of Physical Chemistry A, 2011, 115, 2396–2401. “DFT Study of Cycloparaphenylenes and Heteroatom-Substituted Nanohoops,” Steven M. Bachrach and David Stück,* Journal of Organic Chemistry, 2010, 75, 6595–6604. “Computational Organic Chemistry,” Steven M. Bachrach, Annual Reports of the Progress in Chemistry, Section B: Organic Chemistry, 2010, 106, 407-427. “Using the Pyridine and Quinuclidine Scaffolds for Superbases: A DFT Study,” Steven M. Bachrach and Cecily C. Wilbanks,* Journal of Organic Chemistry. 2010, 75, 2651–2660. “Computational Organic Chemistry,” Steven M. Bachrach, Annual Reports of the Progress in Chemistry, Section B: Organic Chemistry, 2009, 105, 398-420. “Microsolvation of Cysteine: A DFT Study,” Steven M. Bachrach, Thuy T. Nguyen,* and Dustin W. Demoin, Journal of Physical Chemistry A, 2009, 113, 6172-6181. “Tetraphenylene Ring Flip Revisited,” Steven M. Bachrach, Journal of Organic Chemistry, 2009, 74, 3609-3611. “Chemistry Publication – Making the Revolution,” Steven M. Bachrach, Journal of Cheminformatics, 2009, 1, 2, DOI: 10.1186/1758-2946-1-2. “On the Destabilization (Strain) Energy of Biphenylene,” Steven M. Bachrach, Journal of Physical Chemistry A, 2008, 112, 7750-7754. “Computational Organic Chemistry,” Steven M. Bachrach, Annual Reports of the Progress in Chemistry, Section B: Organic Chemistry, 2008, 104, 394-426. “Microsolvation of Glycine: A DFT Study,” Steven M. Bachrach, Journal of Physical Chemistry A, 2008, 112, 3722-3730. “The gem-Dimethyl Effect Revisited,” Steven M. Bachrach, Journal of Organic Chemistry, 2008, 73, 2466-2468. “Towards Assessing the Aromaticity of the Diels-Alder Transition State,” Steven M. Bachrach and Paul B. White,* THEOCHEM, 2007, 819, 72. “Computational Studies of Ethynyl- and Diethynyl-Expanded Tetrahedranes, Prismanes, Cubanes and Adamantanes,” Steven M. Bachrach and Dustin W. Demoin,* Journal of Organic Chemistry, 2006, 71, 5105. “Exploring Wider ExBox4+ Analogs,” (with Caileen Tallant*), 251st National American Chemical Society Meeting, San Diego, CA, March 13-17, 2016. “DFT Study of Chiral Organic Superbases,” (with Ann Andrews*), 251st National American Chemical Society Meeting, San Diego, CA, March 13-17, 2016. “Theoretical Study of the All-Carbon Analog of ExBox,” (with Ann Andrews*), 247th National American Chemical Society Meeting, Dallas, TX, March 16-20, 2014. “Theoretical Studies of Cyclophane Analogues,” (with Meghan Tang*), 247th National American Chemical Society Meeting, Dallas, TX, March 16-20, 2014. “Open Data,” (invited panel discussion), 2013 STM Spring Conference, Washington, DC, May 1-2, 2013. “Computational Studies of Organic Superbases,” (invited talk), 2012 Southwest Theoretical Chemistry Conference, College Station, TX, October 26-28, 2012. “Blogs and Chemical Communication,” (invited talk), 244th National American Chemical Society Meeting, Philadelphia, PA, August 19-23, 2012. “Imagining the 21st Century Library,” (invited talk), Share and Compare: What’s Up with Texas Si/Tech Libraries?, San Antonio, TX, July 15, 2011. “Waiting on the Chemical Internet,” (invited talk), 241st National American Chemical Society Meeting, Anaheim, CA, March 27-31, 2011. National Science Foundation – “MRI: Acquisition of High Performance Scientific Computing Cluster at Trinity University,” Matthew Hibbs, Steven M. Bachrach, Hoa Nguyen, and Kwan H. Cheng, August 2015 – July 2018, $623,730. The Welch Foundation – “Departmental Grant,” January 2012 – December 2015, $120,000. The Welch Foundation – “Departmental Grant,” January 2009 – December 2011, $135,000. The Welch Foundation – “Solvent Effects on Nucleophilic Substitution Reactions and Host-Guest Systems,” June 2006 – May 2009, $150,000. National Science Foundation – “RUI: Solvent Effects on Organic Reactions,” August 2003 – July 2006, $265,300. The Welch Foundation – “Solvent Effect on Nucleophilic Substitution at Sulfur and Selenium,” June 2003 – May 2006, $150,000.